For the past week, I have been obsessed with House of Cards. Don’t worry, there aren’t any spoilers for you that haven’t indulged in this incredible drama. I feel bad for saying it, but I watched both seasons in less than a week’s time. 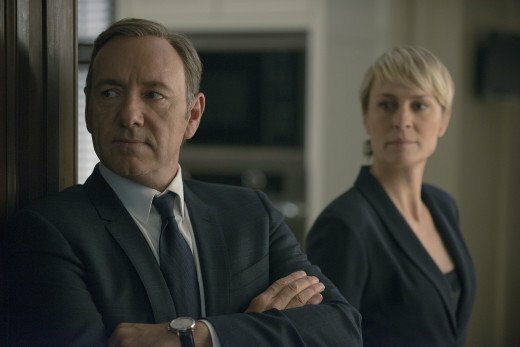 Throughout the entire show, I was fascinated with the marriage between the main characters, Francis & Claire Underwood. They have a horribly dysfunctional marriage and it destroys anyone in its path. But there was something to that marriage that made me, at one point in time, say, “That’s a marriage worth having.” Now, being a single male, I don’t have much knowledge when it comes to the marriage department. I did read a book on it once, and that action seems to make everyone a professional when it comes to other topics. However, I know it does not make me a professional. As with every post, I do not seek conversing with people to tell them “why they are wrong.” As much as I want to do that (as in, my personality is geared toward that kind of thinking), I know I should not and cannot. I am simply hoping to create a space for conversation with which something the Church is obviously struggling (look at divorce/marital issues within your own church and you will probably see what I’m talking about). This is one of my favorite questions in any film/television show. Whenever this question is asked, there is undoubtedly a secret that has just been revealed. A friend is usually a witness to it and in utter disbelief asks, “does your wife/husband know?” The answer can go one of two ways: yes, I’ve told him/her or no, please don’t tell him/her. Too often it seems like the answer is “no, please don’t tell him/her.” Sometimes this secret is brought to life; but other times, it is left hidden. This is normal. This is functional. In my mind, the question should never have to be asked because the answer should always be “yes.” I see this in the marriage of the Underwoods. They have a few secrets, but most of the time they know each other’s dirt. There is a sort of refreshing honesty in that. Some of their secrets are terrifying. If it had happened to other marriages, it would most likely destroy those marriages. But not for them (it probably helps that they are both rather…um…evil?). Once again, I speak as someone not married, but it seems to me that this kind of brutal honesty is what is missing from many marriages. Honesty about thoughts. Honesty about motives. Honesty about secrets. Honesty about ambitions. Honesty about habits. Honesty about struggles. Honesty about dreams. Of course, you cannot be brutally honest with someone else until you are first brutally honest with yourself. Many of us run away from ourselves every day. We do not want to face who we are. For seeing it played out over and over again, I am still at a loss for why we choose dishonesty over honesty. We see these kinds of marriages over and over in television and film. There is a level of distrust in the marriage due to a lack of honesty and transparency. Of course, it is a systemic issue that goes all the way up to the pulpit. We do not do a great job at teaching transparency, so why would we, as pastors, believe couples in our church will be transparent with one another? The most obvious answer is “fear.” We fear being honest with one another because we don’t want to ruin a beautiful relationship/marriage. We don’t want to ruin the functional/normal relationship/marriage. If that is what is viewed as functional/normal, then give me something dysfunctional. Give me a marriage like the Underwoods. Give me a marriage where I spend a night plotting evil schemes with my wife. Obviously, I’m not being literal. But for some reason, I see beauty in two screwed up people sharing their dirty laundry with one another. I see beauty in two sick people talking about their real motives for doing things (even if it is something like, “I bought you flowers so you would forgive me for…”). I see beauty in two broken people relying on the grace of God every day because they know their brokenness. then give me the dysfunctional marriage. Because I want nothing to do with this “stepford,” functional/normal marriage. I want the exact opposite of that. I think that is why Francis & Claire’s marriage has been a bit refreshing. They are definitely corrupt people. They are not role models. But in their marriage, they are brutally honest about everything. And they are comfortable with it. Why? Because they are both equally screwed up and they know it. I think that’s where the problem lies for many of us. We think our spouse is perfect. So we don’t want our honesty to taint his/her perfection. In reality, each of us is equally screwed up and we are all thinking, “I don’t want my honesty to ruin this.” Honesty, however, is the only thing that can save whatever we already have. Now, go watch House of Cards and may your life forever be changed. Good observations… but when I read ” We think our spouse is perfect”, as the premise for the ‘problem’, I disagree. Rather we KNOW we are not, our spouse is not… and we are ALL equally ‘screwed up’, but are afraid to acknowledge, to share our weakness or darkness and to help each other or be helped through loving honesty! Also true of our ‘churchy’ relationships in particular. We smile and move on,(much easier) ,don’t step on toes, don’t hurt anyone’s feelings.. even truly more dysfunctional than honesty. Life is messy ! Thanks for good food for thought! Peace ( or holy unrest) to you Caleb. Good point, Bill. I think I meant more in terms of putting someone up on a pedestal (as many do when they are dating). But I’ve never gotten past the dating phase … so I can’t speak to marriage. Thanks for the insight!